Mention the word “anniversary” to the married man on the street and he’ll probably recoil in anxiety. Did I forget it—again? Such is the typical modern reaction, as if we needed more evidence that something’s not quite right with our culture. A day that ought to be anticipated and celebrated has become an occasion of fear. As Christians we’re called to rejoice always, and as Catholics we have a lot of anniversaries to celebrate. Seven of the most important in rebuilding and strengthening Catholic culture are below. It’s the beginning of the Christian life, the day you received the Holy Spirit. You were completely absolved of all sin, including the debt of original sin. You were incorporated into Christ’s very Body, the Church. Why would you NOT want to celebrate that like the scouring of the Shire? If you don’t know the date, dig up that Baptismal Certificate—or get on the phone and get a copy of it. They’re supposed to be kept in fireproof safes, or at least impounded at Chancery offices. As if you needed another reason, a plenary indulgence is attached. If you renew your baptismal promises “according to any formula in use” on the anniversary of your baptism, you can gain that plenary—fulfilling the other ordinary requirements, of course. Keep your Godchildren on the right path by making a big deal out of this day that so many people easily forget! You can have dinner if you’re close by, or at least call if it’s a distance relationship. A gift as simple as an appropriately chosen holy card can be put to good use for a lifetime—long after they’ve forgotten who Elsa, Anna, and Olaf are and why they’re on that dubious lunchbox you got for their birthday. If you don’t yet have a Godchild, how about rousing your own Godparents out of their spiritual slumber? In some cultures of the not so distant past, Godparents were financially responsible for their Godchildren’s educations; think “tuition” at a Catholic school and hear those dollar signs in the background. You could always remind a lackadaisical Godparent of their relatively minor responsibilities, if it comes to that—just making sure to guide a child’s soul ever closer to Christ throughout their lives, no big deal. 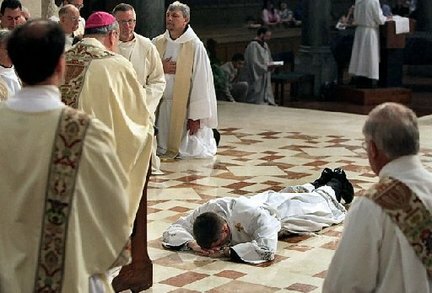 You were absolved of all actual sin since your Baptism during your First Confession—a gift Abraham, Jacob, and the rest of the Patriarchs never had the honor of receiving in quite the same way. You discovered that admitting out loud to booting the neighbor’s cat over the fence wasn’t met with cruel derision but with an admonishing chuckle. And you learned that a seemingly small thing such as a few Hail Marys could offset and even atone for some very big sins. Celebrate it! Walk into a confessional and proclaim, “Bless me, Father, for this is the anniversary of my First Confession, and I’m pretty sure I can drum up some venial transgressions for old times’ sake.” You’ll be in good company: apparently G. K. Chesterton had a habit of reporting his age by the number of days since his last confession (was that why he was perpetually one week old?). You received the Body, Blood, Soul, and Divinity of the God-Man for the first time, and He went straight to work making you more like Him from the inside out. You were probably seven years old or thereabouts. Let’s face it: do you really understand it any better now than you did then? Maybe if you’ve read some Cardinal Dulles you do, but even his utterly clear, robustly intellectual analysis urges caution in approaching this greatest of mysteries. All the more reason to celebrate the occasion annually, especially by assisting at Holy Mass. If you don’t have a devotion to Blessed Imelda Lambertini, you could always buy the Glory Story version. Be warned: it’s a tear-jerker. Then, probably at the height of awkwardness in your teenage years, you stood in front of everyone at Mass and met your Bishop face to face (or his duly appointed minister, likely a high-powered Monsignor). You wondered if your Confirmation class teacher was just kidding about your having to answer all kinds of complex catechetical questions before he’d send down God’s fire. Just as the Apostles laid hands, the Bishop did so with you, and the very same Holy Spirit that rushed in heavenly conflagration upon Mary and the Apostles in the upper room descended on you in all His fullness. Or you’re an adult convert. Celebrating the anniversary of your Confirmation may bring some high school nostalgia with it, but all the more so it’s a chance to brush up on one’s Trinitarian devotion and to rededicate oneself to saying “yes” to the Spirit’s inspirations, to cultivating the fruits that come of dwelling in the shadow of the Spirit’s wings. And there’s still a partial indulgence attached to the “Come, Holy Spirit, fill the hearts of your faithful…” prayer, too. We come full circle here. A married couple’s anniversary will often consist of those year-specific gifts (five years, wood? ), a night on the town, and some private time together. For those married Catholics, does it include a visit to a church, some time together with the Blessed Sacrament, or another way of celebrating what Fulton Sheen has famously called Three to Get Married? Especially now when marriage is under such heavy fire, celebrating a wedding anniversary as the memorial of the sacrament it is makes for a bold counter-cultural statement—and one that will only strengthen the generosity of the couple’s love in Christ. If you’re a religious and/or a priest, you’ll probably celebrate the anniversary of your Solemn Vows and/or ordination with your community or parish. If for some reason they don’t, start it! What better way to show the joy of living one’s vocation than to bring the community together in a bit of vocational revelry? Just kidding. Unless you’re someone like Tabitha who was raised from the dead (Acts 9:36-42), you don’t get to celebrate the anniversary of your funeral nor your Last Rites—as joyfully ironic as that party would be. Stephen Mirarchi (Ph.D., Brandeis University) is Assistant Professor of English at Benedictine College in Atchison, Kansas. He is the author of the annotated editions of Myles Connolly's Mr. Blue, Dan England and the Noonday Devil, and The Bump on Brannigan's Head . His academic work has appeared in Christianity & Literature, Dappled Things, Religion & the Arts, Seminary Journal, Homiletic & Pastoral Review, and others. His journalistic work has been published in the Boston Globe, the National Catholic Register, Crisis, and others.